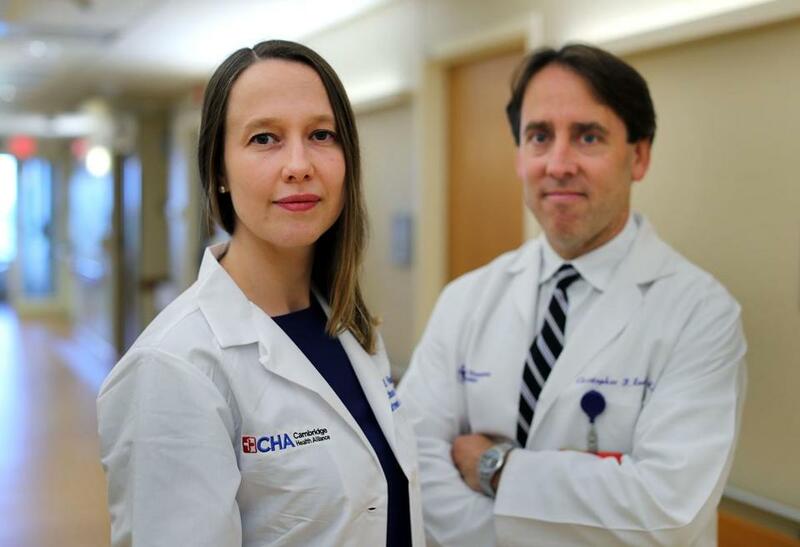 Doctors Alison Rapoport and Christopher Rowley recently wrote a column in the New England Journal of Medicine urging doctors to start offering antiaddiction drugs and other treatment for patients with severe infections from drug use. Infectious-disease doctors, skilled at vanquishing dangerous microbes, are now confronting a different foe for which they have little training: addiction. Many patients come to hospitals with severe infections that result from injecting drugs, and their numbers have surged amid the opioid epidemic that has ravaged Massachusetts and other states. Traditionally, the doctors treating such cases have focused on getting rid of the infection, while neglecting the drug use that led to it. But as these patients keep coming back with new illnesses, or leave cured of their infection only to die of an overdose, infectious-disease doctors in the Boston area are tackling the addiction problem, and calling on their colleagues to similarly step up. Rapoport and Dr. Christopher F. Rowley, of the infectious-disease division at Beth Israel Deaconess Medical Center, published a column in a major medical journal last month describing how Beth Israel has incorporated treatment for substance use into the infectious-disease practice, including offering the addiction medication buprenorphine along with antibiotics, providing people with the overdose-reversing drug naloxone, and even teaching patients safer ways to inject drugs. “The remarkable reality is that we remain systematically undertrained and underengaged in addiction-treatment efforts. ... We have been late and ineffective in our response,” Rapoport and Rowley wrote in the Aug. 24 New England Journal of Medicine. The doctors’ article included a strongly worded call to action for infectious-disease specialists. “Despite our position on the [opioid] epidemic’s front lines, the remarkable reality is that we remain systematically undertrained and underengaged in addiction-treatment efforts. ... We have been late and ineffective in our response,” Rapoport and Rowley wrote in the Aug. 24 New England Journal of Medicine. “It’s a challenge for doctors around the country,” said Dr. Phillip Coffin, director of substance use research at the San Francisco Department of Public Health and an infectious disease specialist. Some physicians feel there’s nothing they can do about addiction, because patients frequently relapse into drug use despite the best efforts. But all chronic illnesses are challenging and often involve behavior that people have trouble controlling, Coffin said. Describing his father’s struggle with type 2 diabetes, he recalled discovering a hidden stash of doughnuts and muffins. The issue is not entirely new to infectious-disease doctors, who were at the frontlines of treating HIV, another stigmatized illness transmitted by injecting drugs. Coffin said he chose the specialty because he wanted to take care of people who use drugs, and infectious-disease doctors “were some of the best people at managing substance use disorders.” They can assume that role in the current crisis, he said. When a person injects drugs, harmful bacteria often hitch a ride into the veins through dirty needles. When drug users are homeless, undernourished, or otherwise in poor health — common for those in the throes of addiction — their immune system will be less able to fight off the infection. Life-threatening bacteria can thus run rampant within them, bubbling up on the skin, clustering in the spinal column, attacking joints or bones, inflaming the lining of the heart, or destroying a heart valve. Viruses can also be transmitted this way, including hepatitis C, which is surging nationwide among young people injecting drugs. Treating these infections can involve long hospitalizations and outpatient visits over many months — encounters that provide an opportunity to address the underlying addiction. But many doctors have no idea how to do that. Central to combating that disease is the drug buprenorphine, commonly known by the trade name Suboxone. It is one of three drugs used to reduce cravings and help people stay sober. Under federal law, however, doctors cannot prescribe buprenorphine unless they obtain a waiver by attending an eight-hour course on addiction. Currently only 4 percent of practicing physicians have obtained such waivers. But now he said infectious-disease doctors are starting to tackle addiction. At Mass. 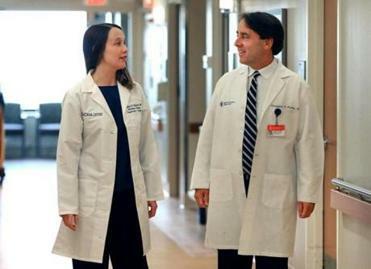 General, physicians work hand in hand with the hospital’s addiction treatment service, starting treatment while people are inpatients and connecting them with care upon discharge. The hospital is working to make sure that all doctors in training can prescribe buprenorphine, Barocas said. Boston Medical Center has a longstanding Addiction Consult Service to help patients hospitalized for other illnesses but found to be addicted. At Beth Israel, which until recently did not have an in-house addiction-treatment program, the infectious-disease specialists began treating addiction themselves about 2½ years ago, Rowley said. They also partner with hospital social workers to help make connections to treatment in the community. All attending physicians in infectious disease have obtained buprenorphine waivers, as have all postgraduate fellows in infectious disease and internal medicine residents, he said. Rowley and others said that physicians in other specialties — from the cardiologists treating infected hearts to the primary care doctors in the community — should join them in obtaining buprenorphine waivers. Rowley and Rapoport said that while some of their patients didn’t continue in addiction treatment, others have responded, reducing or stopping drug use and reconnecting with their families and community. “It’ s been one of the more satisfying things that I’ve done as a physician,” Rowley said.